About 23 people have so far been buried following multiple attacks in Josho communities of Daffo District, Bokkos LGA, Plateau State that have persisted since Wednesday. A security source told MKB that of the 23 corpses recovered between Friday and Saturday, many were burnt while several other victims survived with injuries. 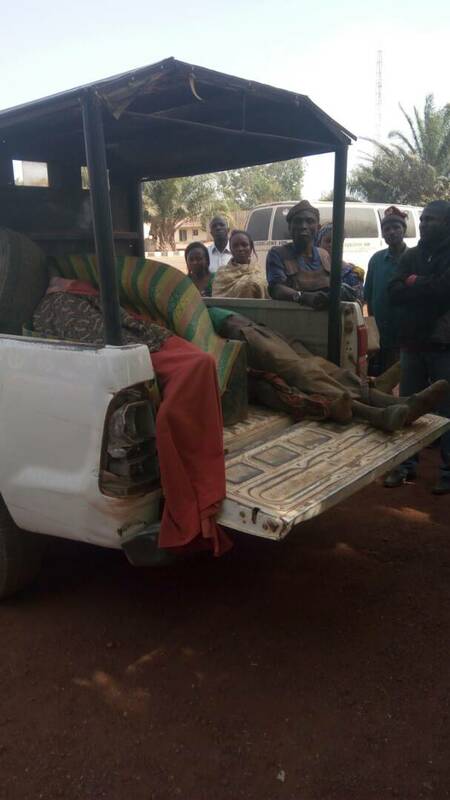 Another source, a former LGA Chairman in Bokkos, Zakka Akos who hails from Daffo however said "There was a mass burial of 18 people yesterday (Friday) and another burial today (Saturday) though a lesser number." The current Chairman of Bokkos LGA, Simon Angyol and a top ranking cleric in COCIN however said death toll as of yesterday was 16. Another cleric in Daffo however gave a different figure from five villages. "17 confirmed dead and the village destroyed are Nghakudung, Morok, Hottom, Wareng and Ganda villages," he said. Sources in Daffo say search is still on to find more corpses if there are, as many people are still missing. Over 2000 people are said to have been displaced in the attacks. Angered by the situation, the Plateau State government has vowed to do everything possible to track down the "criminals." The State Commissioner for Information, Yakubu Datti in an interview with MKB said, "The Governor has commensurated with the people of Bokkos over the dastardly act carried out by criminal elements as far as we are concerned. Any one who doesn't respect human lives is a criminal." Datti regretted that State governments have no control over security but assured the State governor was working to provide logistical support to enable Federal troops carry out a clean job. "The governor though chief security officer of the state has no control over security. We can only provide logistical support." He said 40 patrol vehicles have been purchased for use by poloce and would soon be launched. "We have 40 patrol vehicles soon to be launched by the IG and the security agencies have been mobilized to take care of the situation," he said. Datti however pleaded with members of the public to provide useful information to securities to enable them function effectively.